Welcome to Forest County’s 4-H and Youth Development page. Wisconsin 4-H is preparing the next generation of leaders through experiences in decision-making and citizenship activities. Youth in 4-H youth development programs become actively involved in local groups, clubs and communities. According to Wisconsin’s 4-H Development 2016 Impact Report, 4-H Youth are 3.4 times more likely to contribute to their communities compared to youth in other out-of-school programs. Opportunities for Forest County Youth to participate in 4-H and Youth Development are currently being developed. Current programs are listed below. 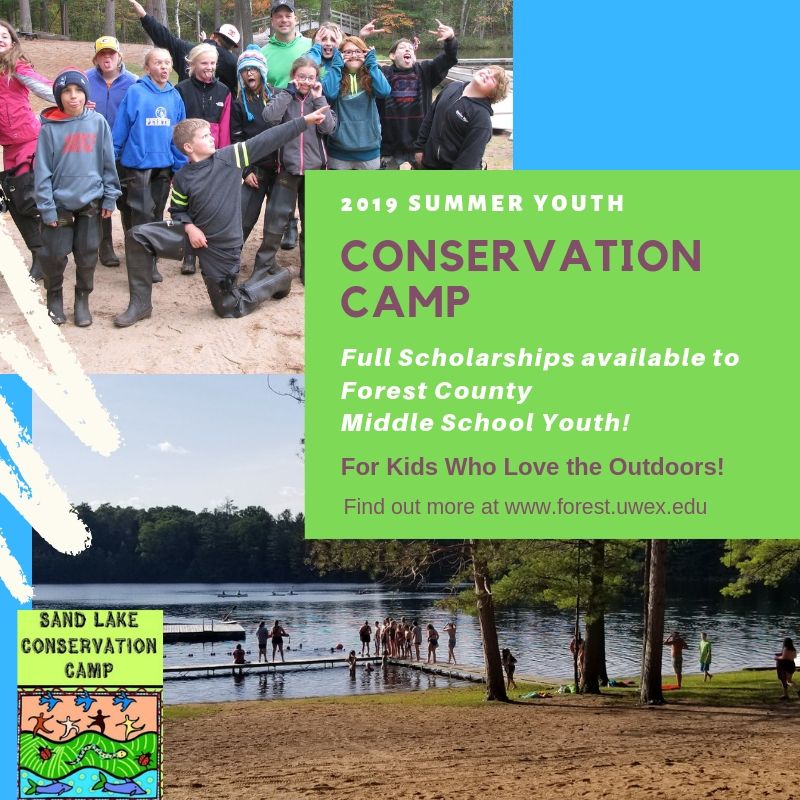 Please contact Forest County’s Positive Youth Development Extension Educator, Michelle Gobert at michelle.gobert@ces.uwex.edu or 715-478-7797 with any questions or concerns.